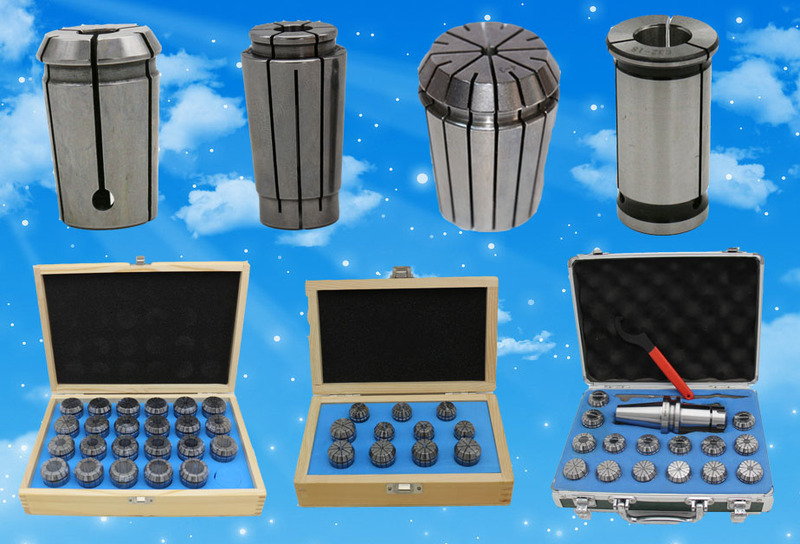 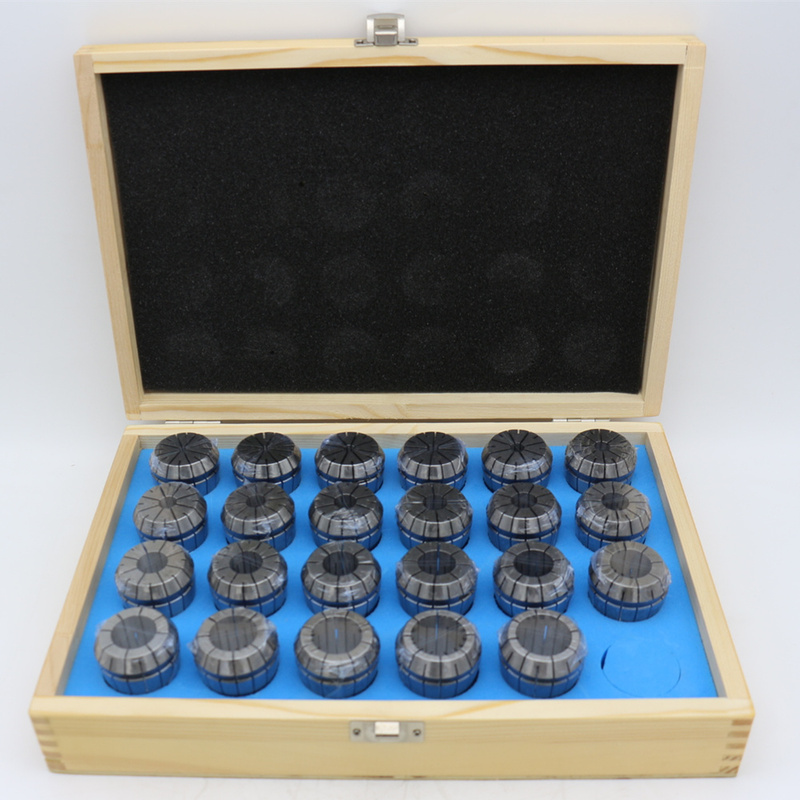 ER Collet for CNC tools DIN6499, also known as spring collet, is mounted on a drill \ milling machine, drilling and milling chuck, its function is to clamp drill cutter or knife. 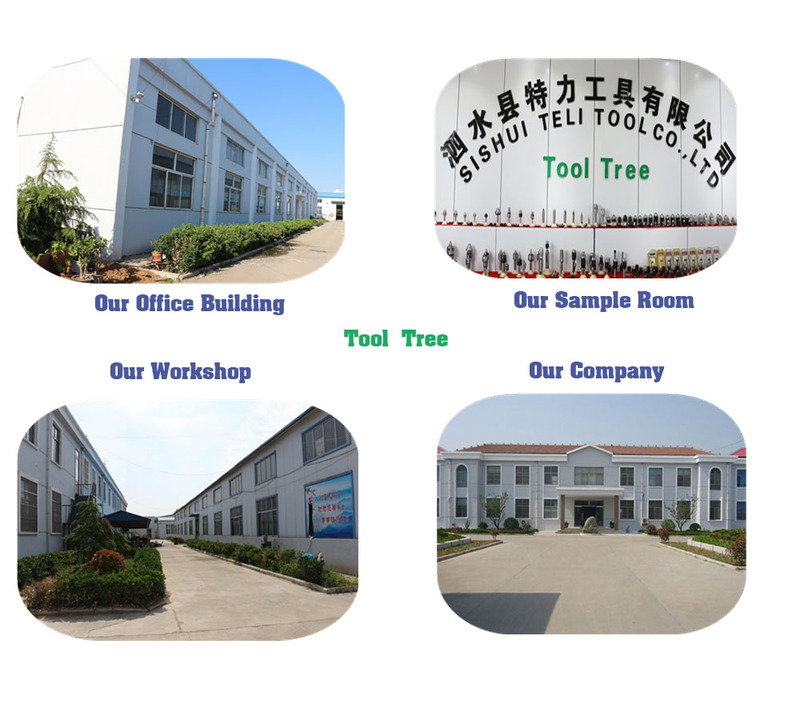 Er flexible collet is currently the most used. 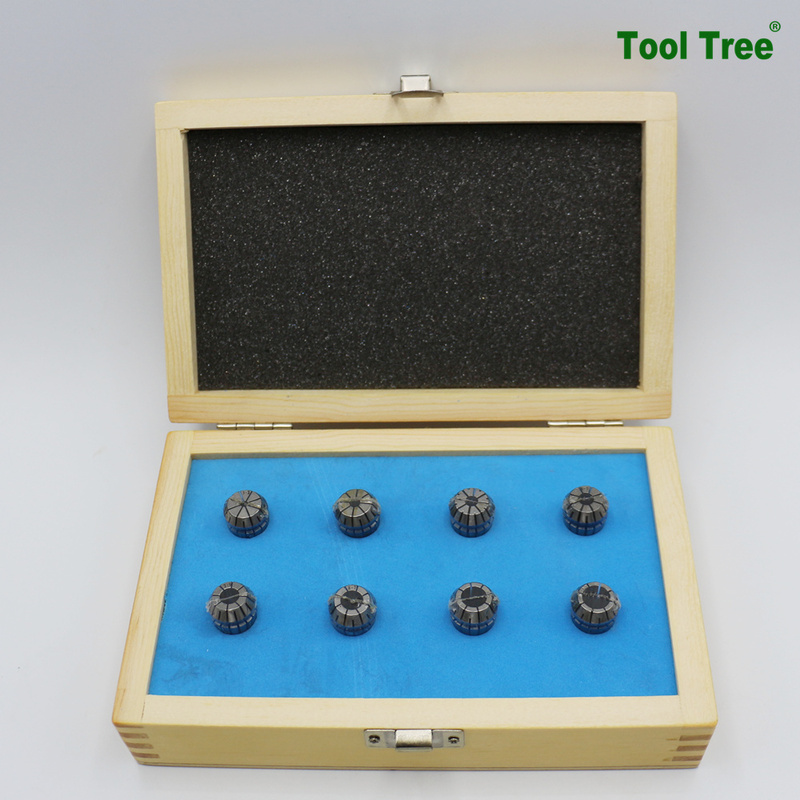 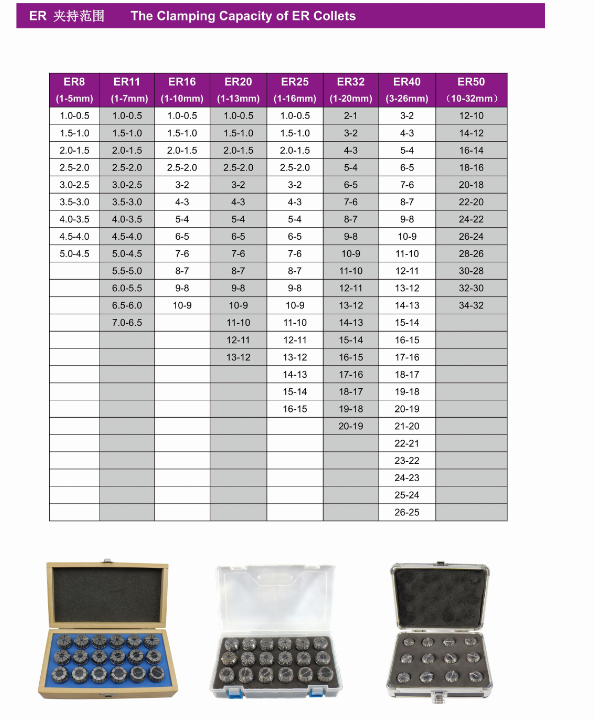 Its stable performance, high accuracy by the majority of manufacturers trust. 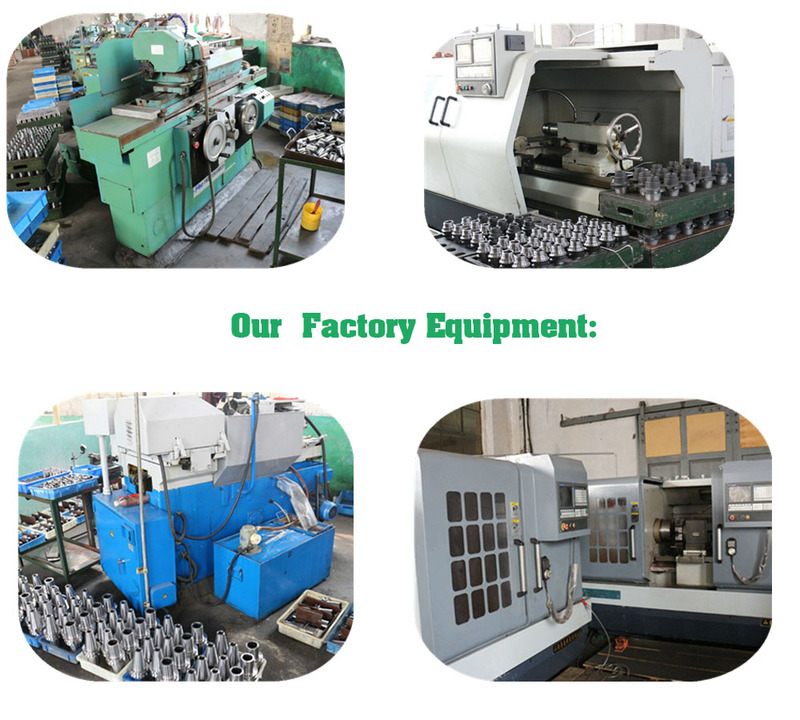 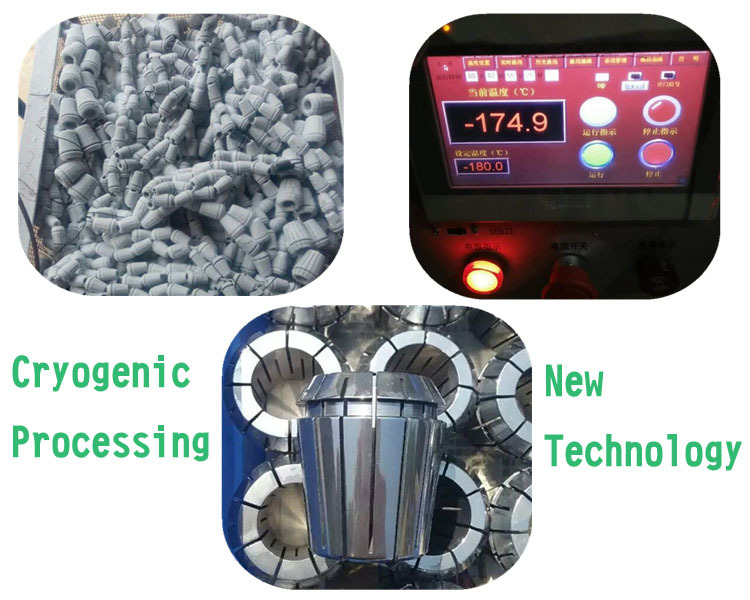 All products are precision grinding. 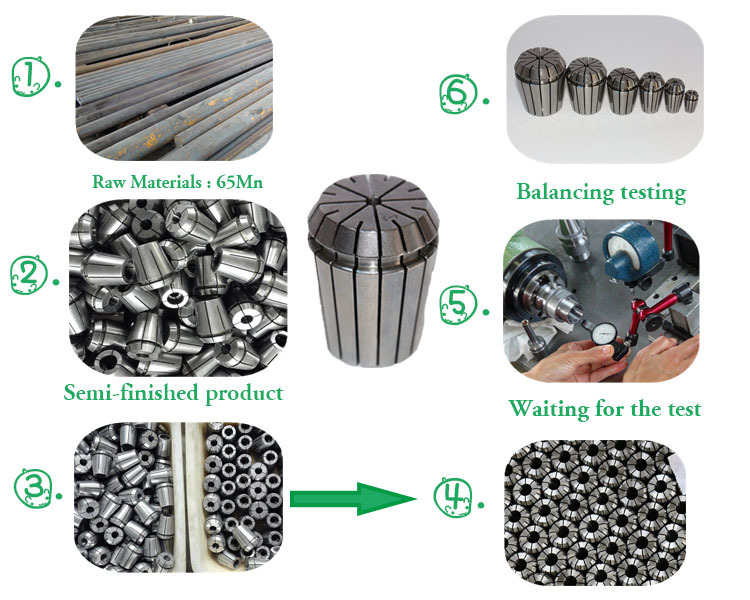 Semi-finished collet: We are refined like this.